Nearly 20 inches of rain fell on parts of Hawaii’s Big Island as Hurricane Lane approached the state early Friday, with flooding and landslides blocking roads. 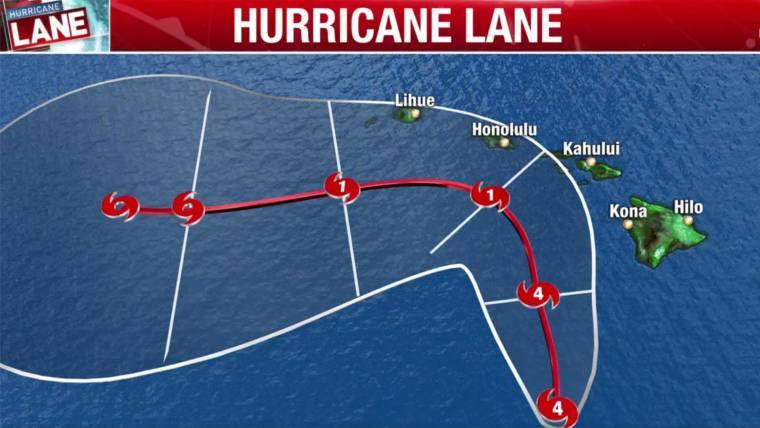 Lane weakened to a Category 3 storm, but by 5 p.m. local time Thursday (11 p.m. ET) still had maximum sustained winds of 120 mph Thursday. The hurricane’s center was around 240 miles south of Honolulu, and was moving north-northwest at 6 mph. “On the forecast track, the center of Lane will move over, or dangerously close to portions of the main Hawaiian islands” overnight and on Friday, the National Weather Service said. Hurricane-force winds were extending outward up to 35 miles from Lane’s center with tropical-storm-force winds extending outward up to 125 miles, the weather service said. The slow movement of the storm could mean that heavy rain and other effects are prolonged for Hawaii, officials added. “Some weakening is forecast during the next 48 hours, but Lane is expected to remain a hurricane as it draws closer to the islands,” the NWS said in its 11 p.m. ET bulletin. Hawaii County Civil Defense said heavy rainfall was already occurring on the Big Island, and flooding and landslides forced the closure of Highway 19 in Hilo and Honomu, as well as several other roadways, NBC affiliate KHNL of Honolulu reported. Route 270 on the Big island was also closed due to landslides and flooding, the Hawaii Department of Transportation said. The last category 5 storm to even come close to Hawaii was Hurricane John in 1994, which skirted 345 miles south of the islands. The last severely damaging hurricane was Iniki, a category 4 storm that killed six people in September 1992. President Donald Trump on Wednesday issued an emergency declaration for Hawaii, which authorizes federal assistance to the region. Hawaii County Managing Director Wil Okabe said five people were rescued from a flooded house in Hilo after a nearby gulch overflowed. No injuries were reported. United Airlines said it was canceling flights for Friday in and out of Kahului Airport on Maui due to weather conditions. It scheduled to additional flights from Honolulu to San Francisco on Thursday, and encouraged people who are traveling to or through affected areas to take advantage of policies where change fees and differences in fares are waived. Heavy rain could cause “significant and life-threatening flash flooding and landslides” on the Hawaiian Islands into the weekend, the weather service said. There was also potential for large swells that could produce damaging surf along southern shorelines, and storm surge and large waves could raise water levels by 2 to 4 feet along south- and west-facing shores. Counties in Hawaii have been opening shelters, although there have been fears that there are not enough, and some of those opened were not designed or reinforced to withstand forces greater than a tropical storm. 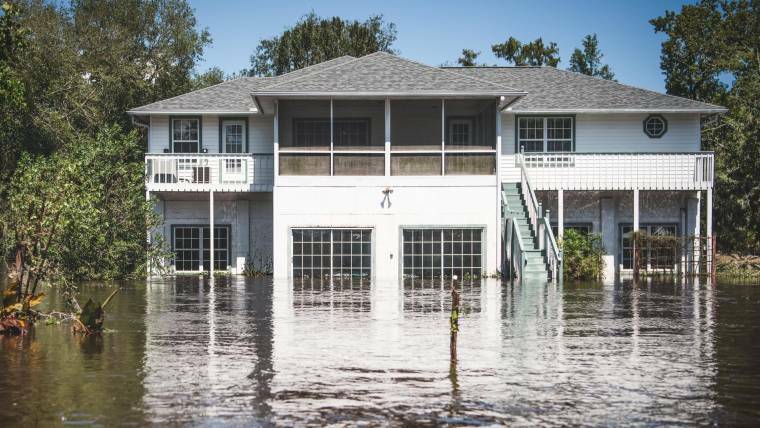 However, officials have said they are safer alternatives for those in flood-prone areas, on ridge lines or in older homes with wood frames or single-wall construction. The Federal Emergency Management Agency is prepared with several barges of food, water and supplies for Hawaii, an official said. The federal agency moved the supplies into the region ahead of Hurricane Hector, which skirted past the islands more than a week ago.